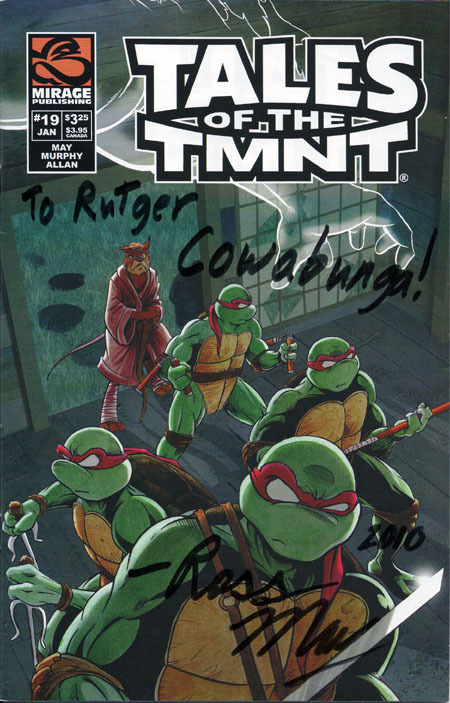 The Technodrome Forums - Rutger's TMNT autograph collection updates! Very cool I like the first & last best. 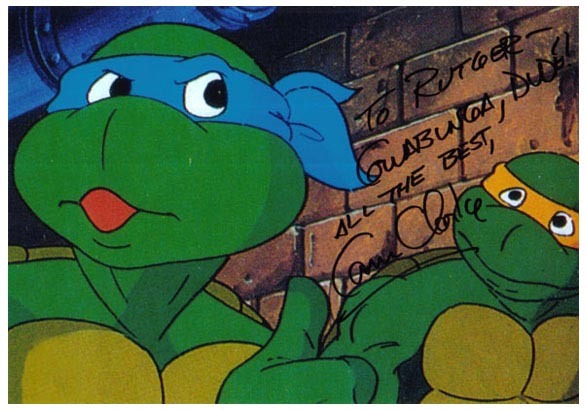 Were you at the 25th anniversery galabunga or any of the stops? Well It's been a little quiet last week. But I guess I can only get so much at a time :D.
I did stumble across some new interesting contacts and some mayor names, now lets just hope I'll get anything back from them. Hopefully next week I'll have some new treasures to share here! Allways a pleasure for my eyes, visit this thread, Rutger !!! Nice adds!!! Congrats!!! Ross wrote 2 Tales comics, Nr. 19 and 22. 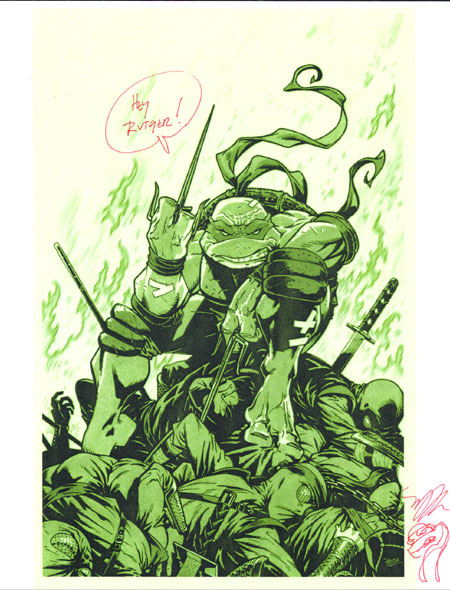 I got them both signed and inscribed from him, as well as a Raphael sketch. Bare in mind that Ross is a writer, not an artist, but I love the drawing! That Ross May sketch is ace. Congrats on getting that, man! I like those additions...I´m just a bit nervous to see the sign over a comic-cover!...I supouse that you have doubles of those comics ? Yes Luz, I have doubles! I indeed want a full collection of clean mint comics. So any comic I get signed is a double one! 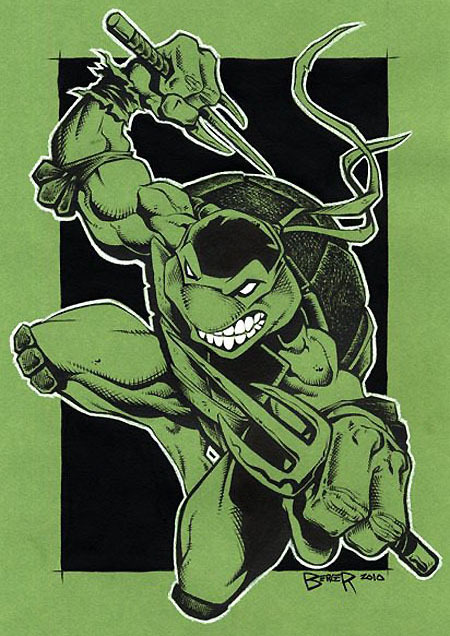 Today I received this awesome commission piece from none other then Michael Dooney. 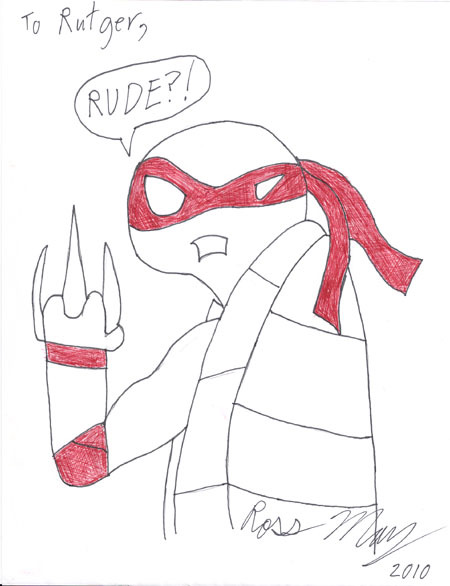 I (of course) asked for a Raphael, and don't you think it looks amazing? Dude your collection is awe inspiring. 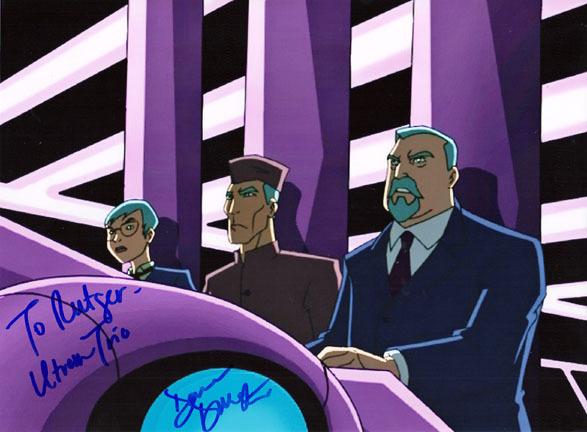 I don't even collect autographs and now you got me wanting to get all the voice actors. :tlol: And that Dooney sketch is just beastly. 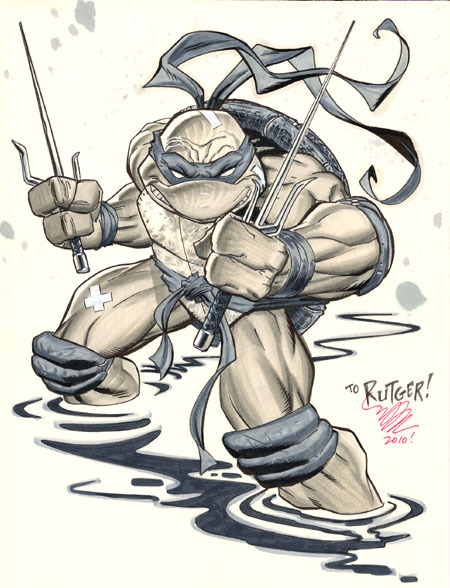 I wouldn't want to come across that Raph in an alley, or a pond (which he seems to be in?). Again such an amazing collection, congratulations, you are surely one of the ultimate fans. Yeah I'm very proud of my collection. I'm assuming you saw the entire website? Been working on it for 4 and a half years now, and met and befriended many people ' cause of that! And I'm still not done :D, keep an eye out, more coming soon! 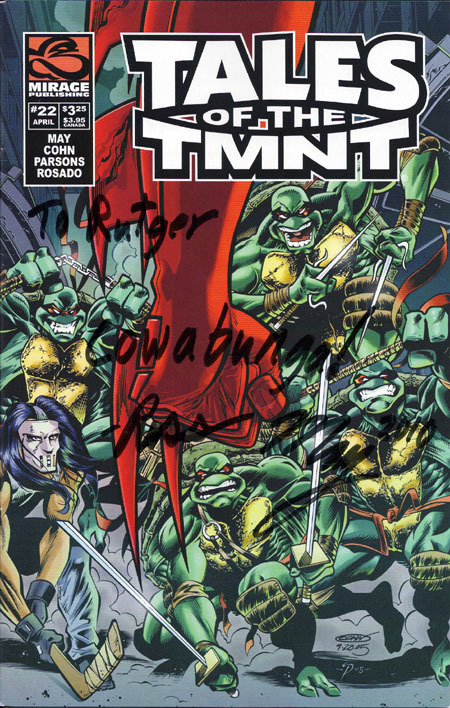 Another awesome commission drawn and signed by Dan Berger! Wow another envelope in my mailbox today. 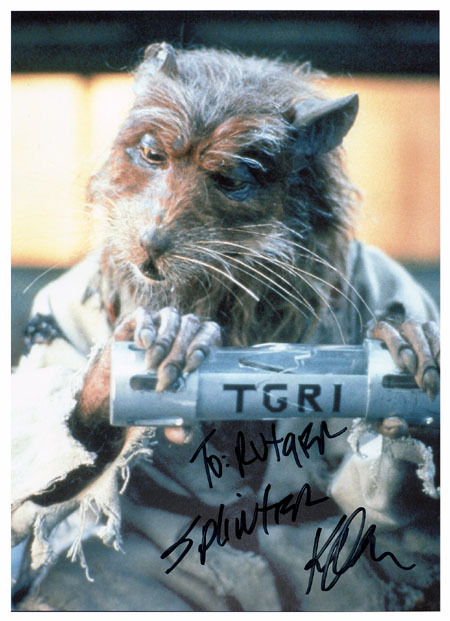 Darren Dunstan signed some more of my photos I had for him! 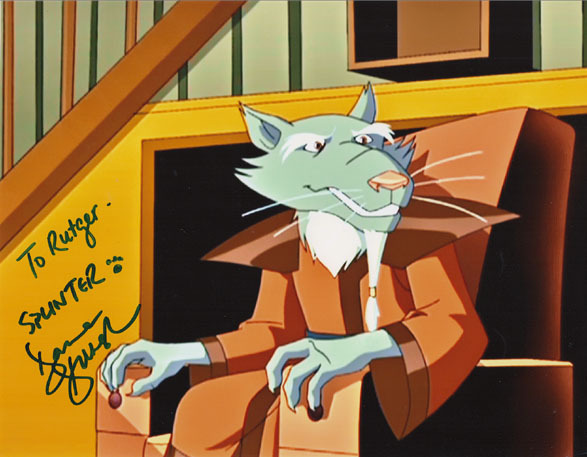 Hey Jen, well you can Jeeej, Splinter! even harder now! Today I came home from work late, there was an envelope in my mailbox! I rushed inside to open the envelope, and almost passed out! 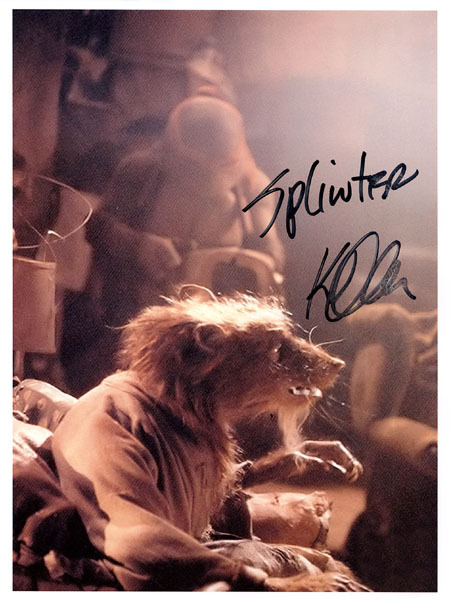 There they were, 3 beautiful photos signed by KEVIN CLASH! After 4 and a half years I've finally been able to get in contact with this almost impossible to reach man! 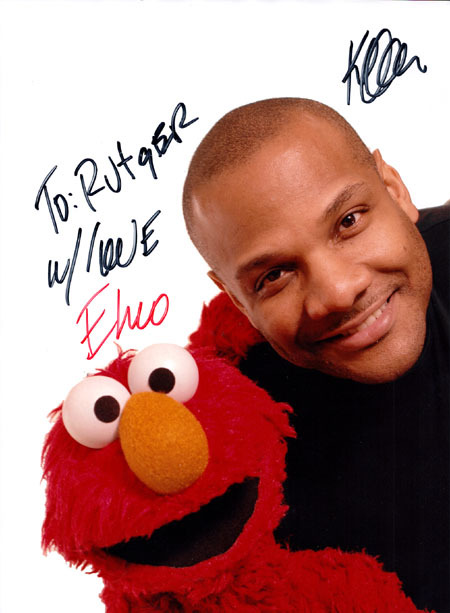 Like Judith Hoag this is truly a trophy among my autographs!